Newest offering from Cinnamon Beach Vacations! The areas premium rental agency!! 941 offers the largest floor plan in the community with gorgeous sunsets over the lake and windows spanning the entire south side of the property!! 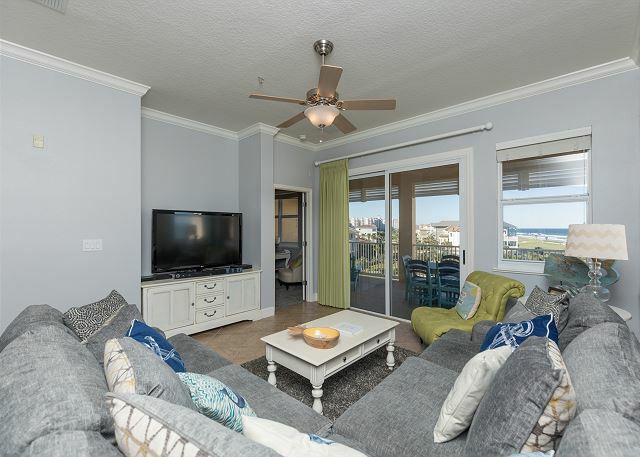 You'll find the best of both worlds at Cinnamon Beach Unit 961!! Enjoy top floor penthouse ocean and lake view sunsets. One of the closest buildings to the world class amenities at Cinnamon Beach!!! Tastefully decorated top floor penthouse corner unit with beautiful lake and partial ocean views!! Just a one minute walk to the surf and sand!! Flawless 5th floor corner unit with beautiful lake and partial ocean views!! Just steps to the beach!! 3rd floor view of the Ocean and Jack Nicklaus Signature Par 3 !!! Short walk to the beach - all Cinnamon Beach amenities included!! Beautiful remodeled top floor penthouse unit on the lake!! Just a few steps to the surf and sand!! Closest building to the clubhouse, pools and Cinnamon Beach Bar & Grille!!! Absolutely gorgeous panoramic views of the Atlantic Ocean and Jack Nicklaus Signature Par 3 8th hole in this stunning 5th floor beauty!! Brand new heated pool !! Short scenic stroll over the lake boardwalk right to the beach!! Sunset Blue beach home in Cinnamon Beach at Ocean Hammock! pools and clubhouse all within walking distance!! One minute to toes in the sand!! Dazzling 3 bedroom/3 bathroom corner condo in the beautiful oceanside community of Cinnamon Beach at Ocean Hammock! Breathtaking ocean views! New carpets, fresh paint - come stay!! Bask in sweeping views of the Atlantic Ocean as well as the renowned Ocean Hammock Golf Course at our fifth-floor corner unit condo at Cinnamon Beach 341. Newly furnished and beautifully maintained, it is the ideal venue for your perfect beach vacation!